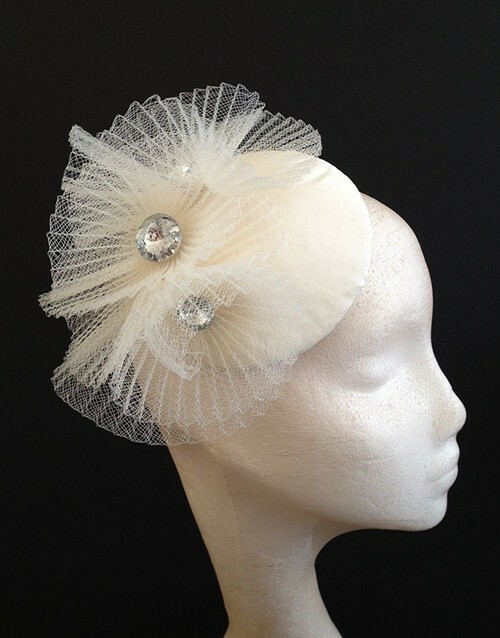 Couture by Beth Hirst Crystal Crin Ripple Button from Ascot Hats 4U. 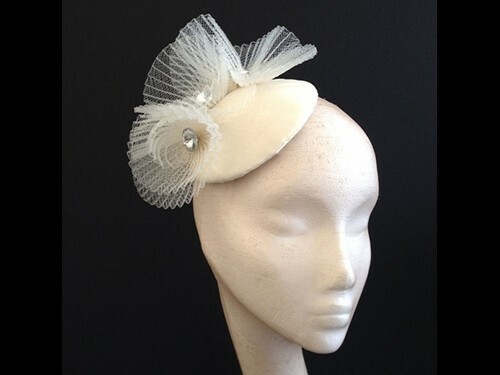 Ivory crin ripple on a 15cm silk button base, the crin ripples are very organic and free flowing in shape, it has 3 large crystals in the centre of the swirls that sparkle beautifully This piece is ready to wear and sits to the right hand side of the head – it can be made to sit to either side of the head. 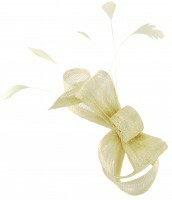 Lined in silk Mounted on a hat elastic, which is easily hidden under your hair, it can be put on a head band if you prefer. 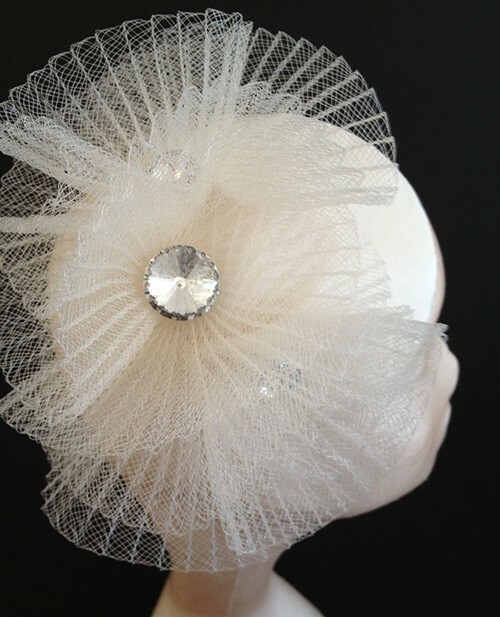 Hat elastic’s sit to the back of the head and are easily hidden under hair using fingers or a comb to pull hair over the elastic, giving an elegant finish as the hat just sits there and it is very secure. 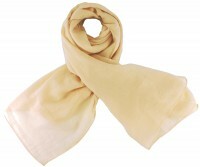 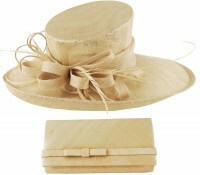 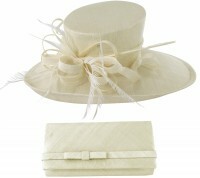 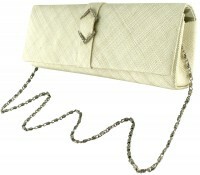 Available immediately in ivory, it can be made in other bridal or non bridal colours.